Ferrer Pharma is proud to work closely with Lofarma of Milano, Italy. Lofarma is a leading pharmaceutical company performing research, development, production and marketing activities in the field of specific immunotherapy and diagnostics for the treatment and prevention of allergic diseases. Lofarma produces and markets Allergy Immunotherapy, Allergy Diagnosis, Allergy Prevention and Branded Pharmaceuticals. Lofarma is an integrated organisation and is able to co-ordinate the entire process of drug development, from the production chain to marketing, distribution and sales activities. Lofarma performs all research, development and marketing phases of its products in Italy and abroad in accordance and compliance to Good Manufacturing Practice (GMP), Good Laboratory Practice (GLP) and Pharmaceutical Inspection Convention (PIC) rules. Lofarma, based in Milan, also has a presence abroad with representatives in Portugal, Germany, Greece, Albania, Hungary, Mexico, South Korea and recently, also in Russia and Spain. Ferrer Pharma also works with Diater Laboratorios of Madrid, Spain. Diater Laboratorios is a pharmaceutical company specialised in manufacturing and marketing allergenic extracts for the diagnosis and treatment of immunoglobulin E–mediated allergic diseases. The company, headquartered in Leganés, Madrid, was founded with private capital towards the end of 1999 and has been part of the Ferrer Group since 2011. Development and investment in R+D throughout these years have resulted in innovative products in the field of allergen immunotherapy, as well as the aetiological diagnosis of allergies to both natural substances (pollens, mites, fungi, etc.) and synthetic molecules like medications. In terms of science and innovation, Diater has put its technical expertise at the service of specialised clinics through its Applications Laboratory, establishing close scientific collaboration aimed at seeking answers to the questions posed by allergens. The company’s products are currently present in over 30 countries around the world thanks to the solid strategic and business partnerships established throughout these years. 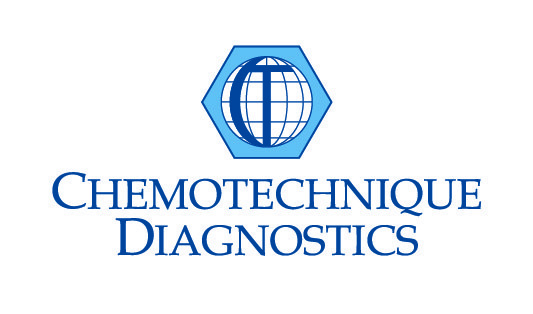 Ferrer Pharma is also proud to work with Chemotechnique MB Diagnostics AB. Chemotechnique has provided Patch Test solutions since 1981 and is proudly recognized as the Trusted name in Patch Testing. Chemotechnique is a Sweden based company with global reach through world-wide distribution. With emphasis on R&D and working in close co-operation with contact dermatitis research groups such as the International Contact Dermatitis Research Group (ICDRG), the European Environmental and Contact Dermatitis Research Group (EECDRG) and the North American Contact Dermatitis Group (NACDG), Chemotechnique ensures that their product line-up has the ideal composition.